Sell your iPhone 5 64GB with OnRecycle and get a brilliant price for your device. Thanks to our straightforward comparison service, you can tick "Sell iPhone 5 64GB" off your to-do list in minutes. Here at OnRecycle, we compare iPhone 5 64GB trade in prices from all major phone recyclers, so you can make an informed decision about who to recycle your iPhone 5 64GB with. 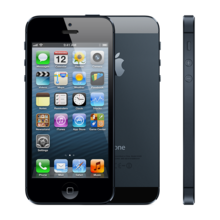 Selling your iPhone 5 64GB has never been easier than with our system - simply search, browse and sell your iPhone 5 64GB!